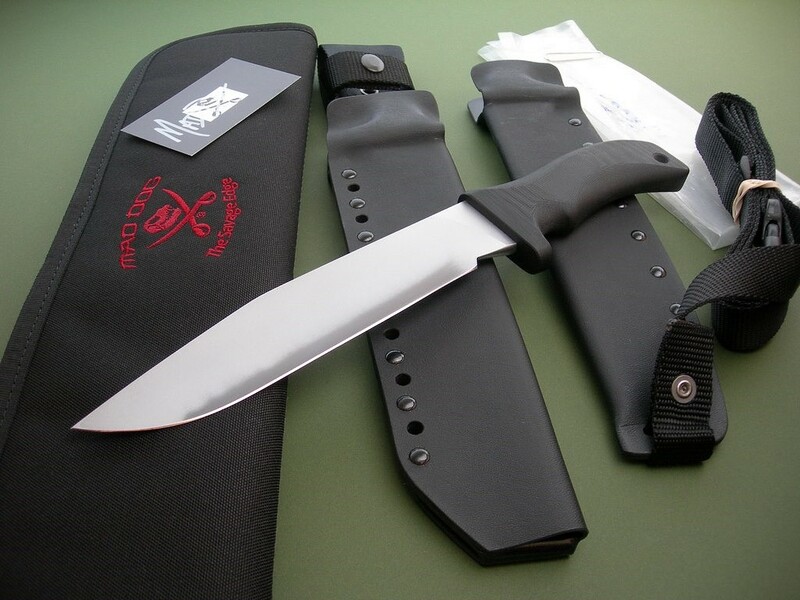 Summary: a rare serialized “Red Canyon” with GTL blade finish. 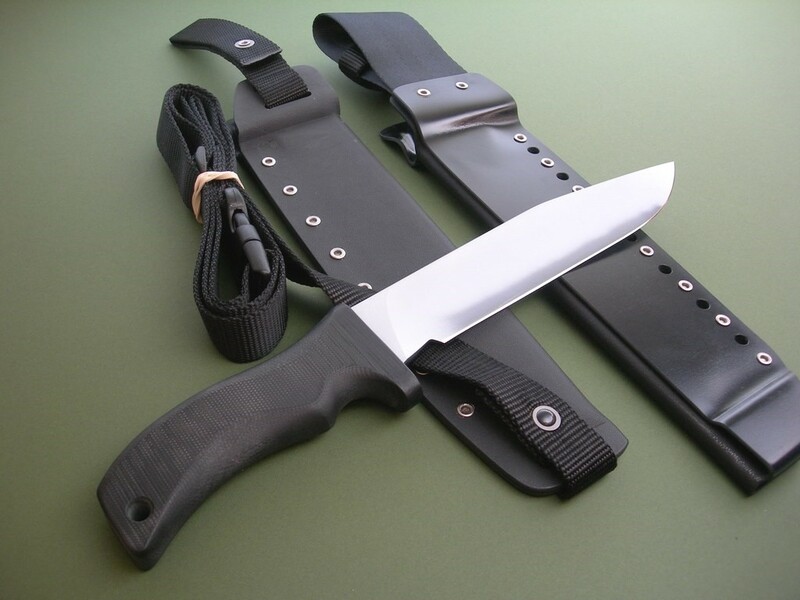 If ordered new, this knife would set you back close to $4000 with this blade finish. Take that AND the fact that this is a numbered version... obviously a great buy for the astute collector and / or bargain hunter. Made from 1/4” stock, blade steel is the Starrett 496-01. 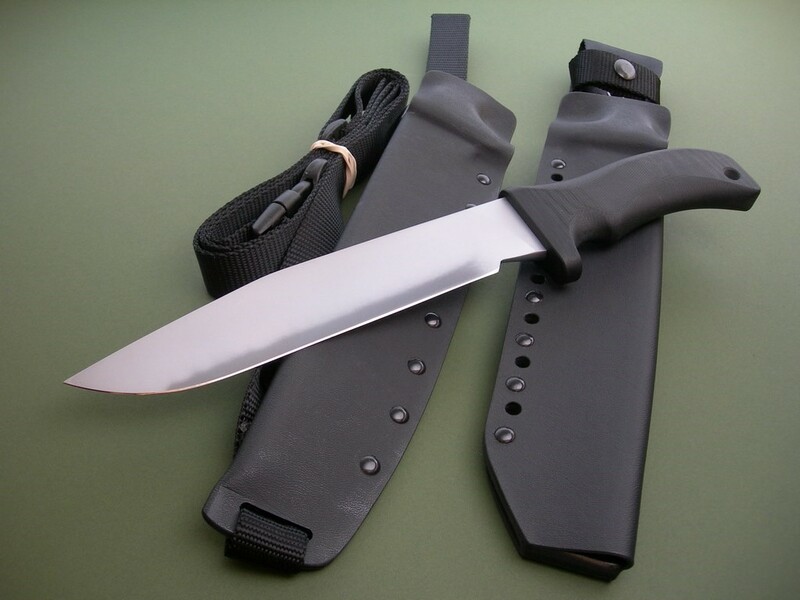 Overall length is 13”, the knife is in as new / mint condition. 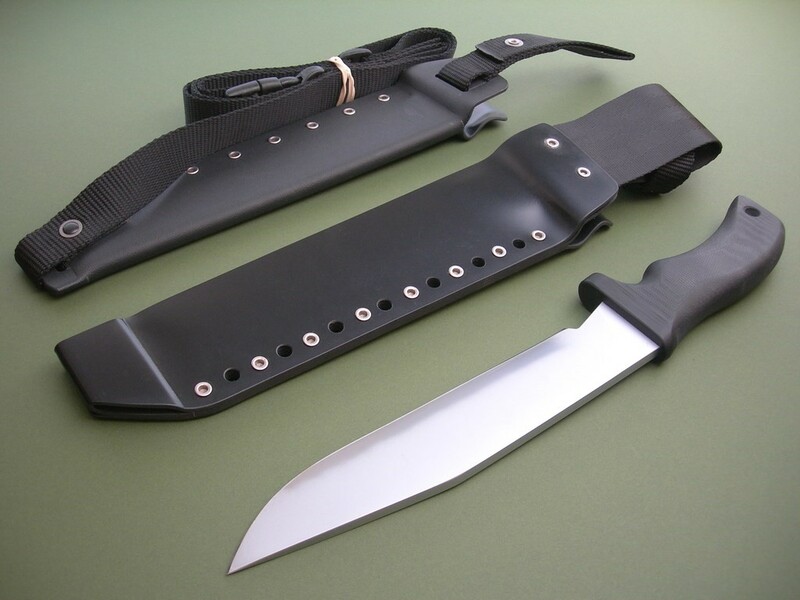 Two original kydex sheaths accompany the knife: one ATAK and one over the shoulder Dundee rig. Both unused / never carried, near mint condition at worst. 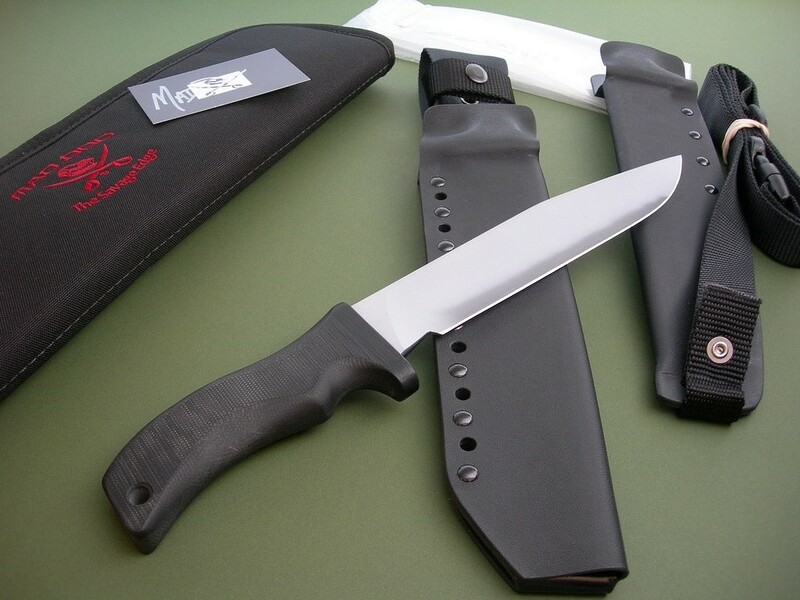 6 photos for review – as shown, a new Mad Dog Knives carry case is included. This is a beautiful knife perfect for collection / investment purposes, l’d guess that less than 1 in every 100 MD’s made have the GTL blade finish. In stock and ready to ship.... thanks and good luck.